Profile: Jacobs University Bremen is a private independent research university founded in 1999. It is located in the northern part of Germany and offers 16 undergraduate and 8 graduate programs. The 1400 students enrolled in the programs represent more than 100 nations and have been selected based on their academic qualifications. 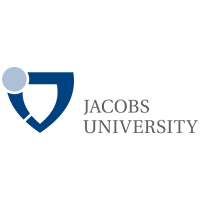 Jacobs University participates in this project with the Communication Networks and Distributed Systems (CNDS) research group, established in 2003 in the Department of Computer Science and Electrical Engineering. The research activities focus on the design of Internet protocols, network management and measurement, network security, embedded systems, and distributed systems. The group has contributed to the development of Internet standards since the mid 1990s (more than 40 co-authored RFCs) and it is well recognized for developing several widely used open source protocol implementations. The CNDS research group of Jacobs University Bremen contributes extensive know-how in the development and implementation of network management standards to the project consortium. In particular, the CNDS group is globally well known for their contributions to network management technology standards and related data models and data modeling languages. By sharing the standardization know-how in this project, it will be possible for the project to achieve strong impact through open source and standards (WP3 and WP4). The CNDS group also contributes knowledge about network protocol security and the development of protocols for constrained devices on the Internet of Things to the project. Expertise and Role in CONCORDIA: JUB will participate in all WPs and lead T1.1. For the CONCORDIA project JUB will contribute extensive know-how in the development and implementation of network management standards and related data models and data modeling languages. Also, the CNDS group will also provide knowledge on network protocol security and the development of protocols for constrained devices on the Internet of Things.